Relax in this comfortably furnished “island” lifestyle condominium. Situated in the “H” building at Wai’ula’ula, this downstairs unit offers privacy and breathtaking golf course and harbor views. The expansive wrap around lanai is perfect for outdoor dining and relaxing. A built-in Wolf BBQ and lanai refrigerator add to the convenience of outdoor entertainment. The nicely appointed kitchen w/Sub-zero refrigerator, Wolf microwave and oven, and Fischer-Paykel two drawer dishwasher make meal planning, preparation and clean-up an easy task. Indoor dining is available at the glass dining table or at the kitchen island bar. The two spacious master bedroom suites have their own televisions and attached private bathrooms. The third front bedroom offers a convenient computer desk along with the two twin beds. The unit is wired for wi-fi internet connection. Enjoy the island tropical breezes by opening up the expansive sliding glass doors and windows. This unit is equipped with zoned air conditioning throughout and ceiling fans in the living and bedroom areas. A non-smoking policy is enforced. 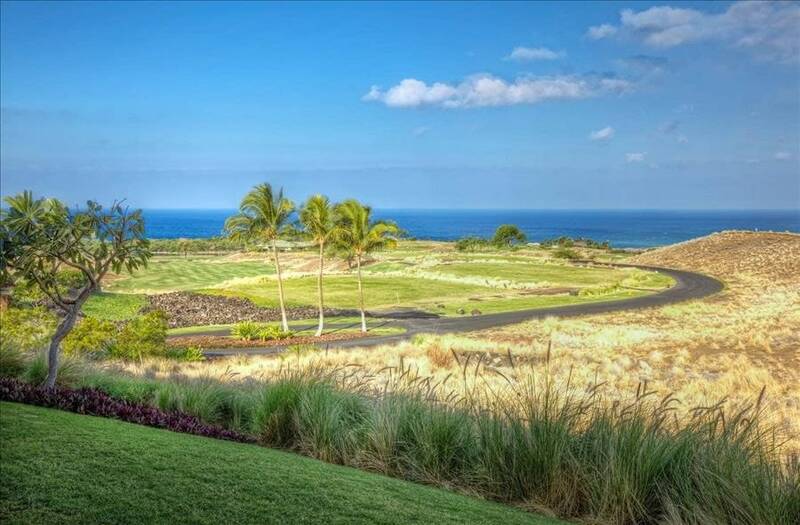 Walk down to the Hale Ikena amenity center w/infinity pool, spas and fitness center. The center is open daily until 10 PM for residents of this community. Rental privileges also afford guests access to The Westin Hapuna Beach Resort and the Mauna Kea Beach Hotel’s pools, beaches and fitness centers. View Ocean/Golf Beach Distance 1 mi.